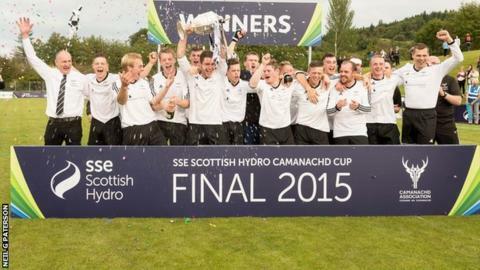 Lovat beat Kyles Athletic 2-1 in Oban to lift the Camanachd Cup for the first time since 1953. Kevin Bartlett put the Kiltarlity side in front in added time at the end of the first half. But the favourites hit back through Robbie MacLeod in the 50th minute. Five minutes later Bartlett scored his second at Mossfield Stadium and Lovat goalkeeper Stuart MacDonald was in inspired form as the team repelled Kyles to secure a historic win. Man-of-the-match MacDonald made a string of fantastic saves to help deny the Tighnabruaich side a 22nd success in shinty's premier contest.